A cash-starved National Consumer Cooperative Federation is girding itself to shift its office from Nehru Place to Sri Fort Road in South Delhi in one of the real estates belonging to the apex cooperative body NCUI. Confirming the development NCCF’s Vice-Chairman Virendra Singh said” the office at Nehru place was scattered into several floors leading to difficulties in the smooth functioning of the cooperative body. Here we would have a compact space where we could work better,” he added. It is learnt that because of its current location at Nehru Place chairman Bijender Singh is not going to office regularly, though former chairman who now Vice-Chairman had a better schedule so far as going to office was concerned. But the biggest challenge before the apex consumer cooperative body is a flight of business associates from its flock. 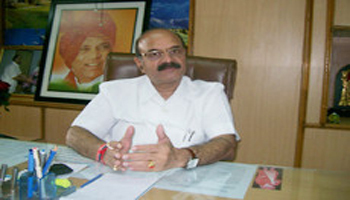 It is a herculean task bringing them back, conceded Virendra Singh. It is to be noted that the ex-MD Mr M K Parida had forfeited the earnest deposits of NCCF suppliers on the charge of “having done no-business” for two years. He treated these deposits as profit and even paid income tax on them to the shock of the suppliers. New suppliers are not willing to do business with us, the NCCF on its own cannot do business unless it has trustworthy partners, lamented Singh. ”The Board has constituted a committee which is in the process of preparing a road-map for the cooperative body. It does not intend to outsource the planning part but we are indeed planning to hire services of 1-2 experts,” added Singh. The depressing scenario of the NCCF could be understood from the fact that out of 29 branches only two are in profit. Meanwhile, the ouster of close to 100 staff members has also created a shortage of manpower. The NCCF may have to go for a major recruitment drive sooner than later, a source informed Indian Cooperative.